Hine Cognac XO comes in a 70 cl bottle. 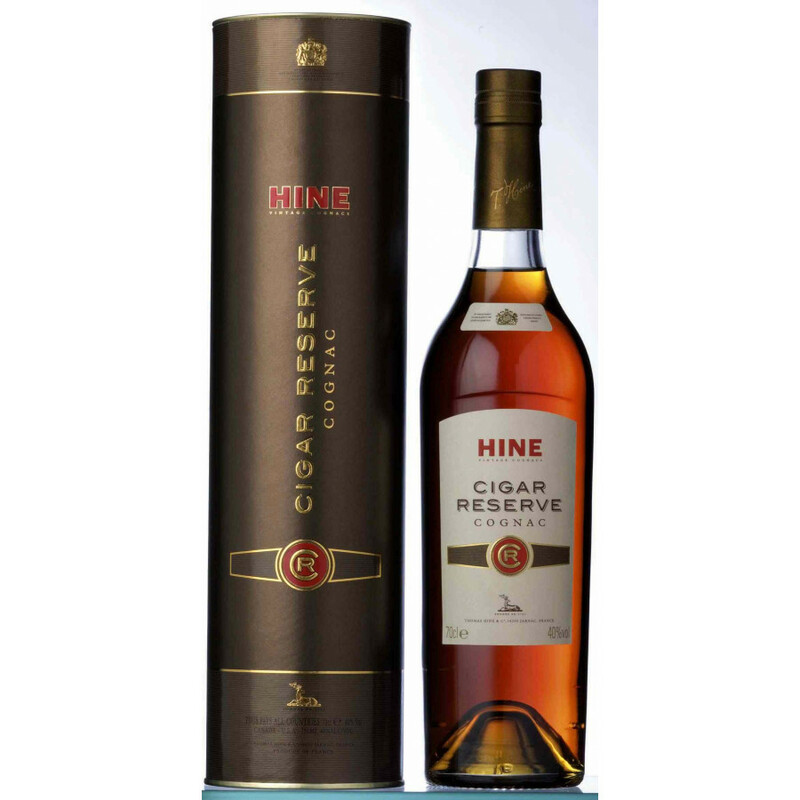 As you have probably noticed, Hine has a certain affinity to cigars: The Cognac XO Cigar Reserve is one of the strongest cognacs of Hine - strong like a Havanna, but balanced. Hine Cigar Reserve comes in a simple bottle, and is a blend of more than 25 different cognacs. The origin: Four different growing areas, Grande Champagne, Petite Champagne, Borderies and Fins Bois. The spirits used in this cognac were matured for over 10 years in oak barrels.